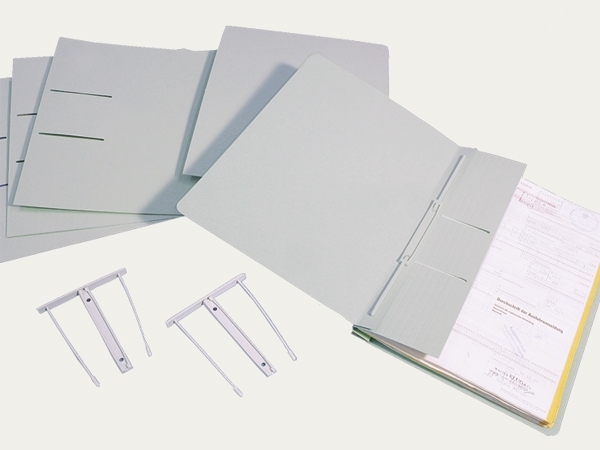 An archival folder "System Brauweiler" with a filing mechanism for filing sheets of A4, folio and large folio sizes. Made from archival board (048), 330 gsm, light grey in colour. Due to special surface treatment dirt-resistant, erasable and rub-proof (dry wiping). The folder also includes the polymide filing mechanism.